Council operates skate parks, sport facilities, events throughout the year and regular live performances in Hornsby Mall showcasing local young artists. If you’d like to know more please contact Council's Community Development Officer Sue Downing on 9847 6889 or email sdowning@hornsby.nsw.gov.au. Each year Hornsby Shire Council is actively involved in National Youth Week, which celebrates young people and their achievements throughout Australia. In 2019, Youth Week will be held from 10-18 April and we have some exciting events planned for the young people of Hornsby Shire. 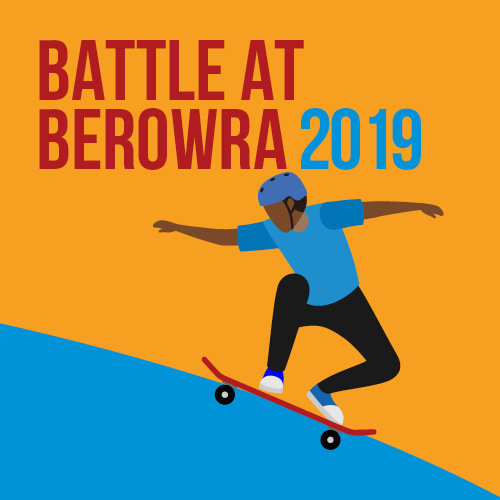 As part of National Youth Week 2019, Council will be hosting a skate boarding, BMX and scooter competition at Berowra Skate Park on Saturday 13 April. Come show us your amazing skills and battle it out with your mates. Even if you are not competing, come along for a free BBQ, chalk art demos, music and prizes. For more information, please contact Council's Community Development Officer Sue Downing on 9847 6889 or email sdowning@hornsby.nsw.gov.au. The Hornsby/Kuring-gai Youth Network is made up of youth workers, community workers and other representatives with an interest in youth issues. It meets monthly and aims to develop partnerships, share resources, improve services and advocate on behalf of young people. HealthDirect - A non-commercial, government funded organisation providing health information on a range of topics, including drug and alcohol abuse. Youthsource - Resources and support for young people living in the Northern Sydney Area. Contains information on health, life after the HSC, legal issues, youth services, events and a gig guide. Barnados - Support for children and adolescents suffering from or at risk of abuse, neglect, homelessness or poverty. Kids Help Line - Australia's free, confidential and anonymous online counselling service for young people aged five to 25. NSW Department of Community Services - Advice and help on a range of youth issues. Reach Out - A web-based service that aims to inspire and create opportunities for young people. Somazone - includes an anonymous question and answer service, publishes personal stories and provides information on a range of youth services. Wesley LifeForce - Information on suicide prevention and the issues of suicide. Youth Beyond Blue - Support and advice for young people experiencing depression. YMCA - Programs, services and support for young people including sports activities, youth leadership training and camps. Co-op BookShop - Not-for-profit bookstore aimed at students and young people. Department of Employment - Information for students, school leavers, trainees and apprentices. NSW HSC Online - Information on HSC subjects, exams, study, career options and university. NSW Department of Education and Training - Resources and information for NSW school students and TAFE students. TAFE NSW - Information on TAFE courses, student services and more. Indent - Resources, information, workshops, funding, skills development and networking opportunities for young people wishing to break into the music industry. Triple J - The ABC’s radio station aimed at young people. ReachOut - Information for young people on important issues such as human rights, culture, the environment, health and more, as well as tips on how they can take action. Conservation Volunteers Australia - Volunteer opportunities for young people with Australia’s leading environment conservation organisation. National Drugs Campaign - Information and facts about drugs. National Youth Week- Annual event for young people aged 12 to 25. The website contains information on events, projects, competitions, youth issues and more. Youth Action and Policy Assocation - Includes information for young drivers as well as youth news, training and events. Youth.NSW - Information and resources on everything from money, leaving home and the law to health, relationships and study.